Office 365 has roared back against Google Docs in the battle for enterprise customers after Microsoft's decision to start persuading companies to ditch Exchange email in favor of a comparable cloud service. Usage of Office 365 has reportedly "skyrocketed" over the past six-to-nine-months after Microsoft apparently began to advise customers to migrate email to service based on the Microsoft cloud and not one using an Exchange server based at the company's own data centres. The admission comes from Todd McKinnon, CEO of Okta, a firm that allows companies to keep track of employee passwords and accounts for all cloud services they use, who has seen Office 365 pass both Google Docs and Box, and it will pass Salesforce on in the next few months. That is in stark contrast to a survey taken in October 2014 that showed Google Docs was the most popular all round with Salesforce and Box most popular at work. McKinnon isn't the only one either. BetterCloud, which was originally 100% focused on security tools for Google Apps, launched an Office 365 beta two weeks ago, and BitGlass, has seen Office 365 overtake Google Apps for usage, a significant jump after a survey it carried out a year ago shows that 16% of its customers used Google Apps whereas under 8% used Office 365. 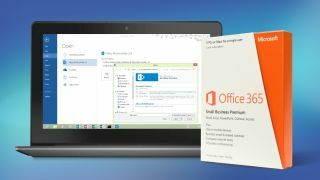 Microsoft also reportedly signed a deal earlier this month to bring Office 365 as well as OneDrive and OneNote to Samsung's Knox Workplace suite of enterprise apps, something that has the potential to set even more alarm bells ringing at Google.